Yachats Original Arts & Crafts Fair March 23rd and 24th. 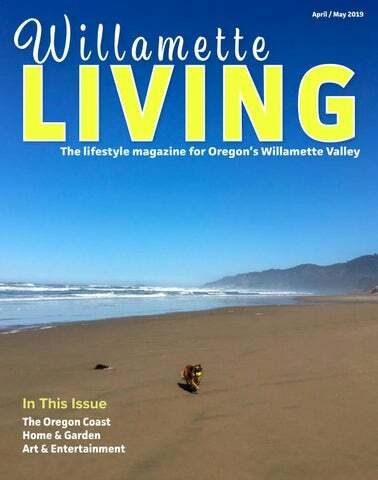 Willamette Living is published every two months and is available for free at hundreds of locations in Oregon’s Willamette Valley. Please feel free to send us submissions for our event calendar, notices of special events at your business for our Facebook feed, or press releases for items of interest to our Willamette Valley readers. We are a small business, and our mission is to help promote our fellow business people, and our beautiful area with all it has to offer. We can’t guarantee we’ll publish everything we receive, but we’ll sure try to help you spread the word!